Stress Tip for the Day: As was once explained to me, words are like arrows. Once they leave your month, you can never take them back. Think before you speak. Make it a habit to speak words of kindness today. Let your words be gems of light that raise consciousness to all who might hear them. Links, Books & Movies Worth Noting: This link was sent to me last week, and its beautiful message brought tears to my eyes. I hope you are equally moved. Quote for the Day: “Is it true, is it necessary, is it kind? These are three questions to ask yourself before you speak.” — Anne Morrow Lindbergh. Teton National Park. 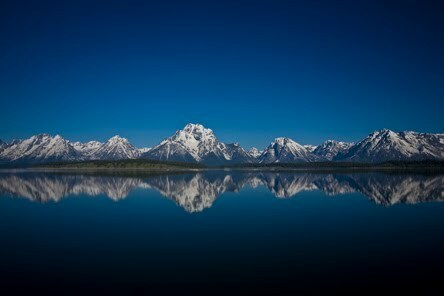 The Tetons are the crown jewel of the National Park system. Diamonds of a different kind. Enjoy. When I was a little boy, my mother used to read me and my sister stories from a big illustrated book of the Brothers Grimm. One of the stories (and illustrations) I recall vividly involved a story of two sisters. The younger sister was extremely kind. Her kindness was surpassed only by her physical beauty. Her elder sister was equally pretty, but extremely jealous, which she voiced in harsh words and vicious comments. One day, while their parents were away, the two sisters were home alone when an old woman with a sack of clothes came by the house in desperate need of water. The elder sister uttered nasty words refusing to help her. Upon hearing this, the younger sister ran to her aid and attended to all her needs. When fully rested, the elderly traveler said to the young women, I have gifts for you both. To the kind sister, she said, “Whenever you speak words of kindness, diamond, pearls and gems shall fall from your lips. Your kindness shall never be forgotten.” As the pretty young woman offered words of thanks, two precious diamonds and a sparkling ruby fell from her mouth into her hands. Upon seeing this, the elder sister demanded to know what the old woman would give her. “Every time you speak ugly words, snakes and frogs shall crawl out of your mouth.” The elder sister yelled, “Get out you old, miserable hag.” As she uttered these words, just as the traveled had foretold, two snakes slithered out of her mouth and dropped to the floor, rapping themselves around her ankles. As was once explained to me, words are like arrows. Once they leave your month, you can never take them back. Think before you speak. Make it a habit to speak words of kindness today. Let your words be gems of light that raise consciousness to all who might hear them. This link was sent to me last week, and its beautiful message brought tears to my eyes. I hope you are equally moved. “Is it true, is it necessary, is it kind? These are three questions to ask yourself before you speak.” — Anne Morrow Lindbergh. Today’s photo is an image I took last year while filming Earth Songs up in Teton National Park. 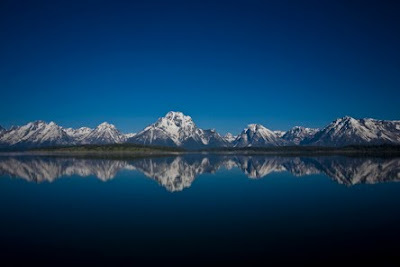 The Tetons are the crown jewel of the National Park system. Diamonds of a different kind. Enjoy. If you are a certain age, and you hear the word, “plastic,” you might just provide an immediate flashback to the movie The Graduate, where Dustin Hoffman is told that plastic IS the future. As a budding environmental activist I have often wondered about the ecological concerns of plastic, from grocery bags to water bottles to the leaching of chemicals (e.g., phthalates) from plastics into our food and water supply. Indeed, plastic is the future, but this future is not all that rosy. In fact, it’s quite problematic. As a fan of Public Radio, this week I happen to hear two interviews with Susan Freinkel, author of the new book, Plastic: A Toxic Love Story. Originally, it was her idea to go a whole day and not touch any plastic. Within minutes of trying, she realized this was impossible; Tooth brushes, toilet seats, door handles, cell phones, Ipads; the list is endless. Her book looks at the good, bad and ugly of our culture of plastic products. Perhaps one of her most interesting remarks is that polyethylene and other types of plastic (all by products of fossil fuels and natural gas) are not inert. The chemical composition interacts with all around it, including fluids such as water and foods when heated in microwaves and Teflon pans. These chemicals interfere with our hormones, and God only knows what else it affects or causes (e.g., cancers, Alzheimer’s, infertility, birth defects, etc.). Although it’s hard to escape the presence of plastics, it would be in everyone’s best interest to read up on the history of plastic over the past 50 years and see just what is known and unknown about this ubiquitous by-product. And… it goes without saying how much plastic (e.g., discarded water bottles) are trashing the planet! Refuse to be part of the “throw away culture! Bring your own bags when shopping. Reuse whenever possible (e.g., Baggies, etc.). Recycle all plastic whenever possible. Don’t cook with Teflon. Buy natural chewing gum (they use plastic in gum now!) Don’t buy plastic water bottles— Use stainless steel water bottles instead. It’s hard to find food in glass containers when so many are packaged in plastic, but items like salad dressing and tomato sauce come to mind. Try to be a little more conscientious of your use of plastic, particularly water bottles. Refuse to be part of the “throw away culture! I haven’t read Susan Freinkel’s book yet, but I intend to. If you are at all interested, I highly recommend you take a look at the interview transcripts from both Fresh Air and Amazon. To honor Earth Day, I culled through my collection of photos to find THE image that spoke to my heart about Earth’s beauty today. This photo begged to be considered and I obliged. Happy Earth Day! The words stress and change are used synonymously these days, and anyone who has had a flight delayed several times in as many hours, only to learn it’s cancelled at the end of the day knows all too well what airport stress is. Change within the airline industry can be stressful for everyone. While we all know about the extra charges for checked luggage, gone are the days of empty seats, walk in stand-by seats and polite customer service. Weather delays, mechanical difficulties, delayed flights, security breaches, and $5 bottles of water on sale past TSA security are the norm. Simply stated, tension runs high with this most “convenient” way to travel. To quote a stressed passenger last night, “The skies are not as friendly as advertised.” As I write this, I am sitting in Newark’s Airport having gone through all of the above changes. When faced with change such as airport and airline stress, one has to realize that practically everything is out of your control—save your attitude. Losing one’s temper doesn’t solve anything, and in fact, will make things worse in a place where everyone is on edge to begin with. Adaptation is the key; learning to adapt to the change that we are confronted with is essential. Creative problem solving comes in handing too, as does a sense of humor. It doesn’t hurt to pray either! • Stress Tip For The Day: When flying to a distant city, have on hand the airline’s reservation number. This can prevent waiting in extremely longs lines at the customer service center. Taking the first flight out in the morning also ensures less hassle later in the day. It’s also a good idea to have on hand the name and phone number of a respectable hotel should you end up spending the night. (I got the last room at a hotel who’s name will go unmentioned, but it was startling to see the reception desk and hotel manager behind two inches of Plexiglas). Boarded up adjacent buildings, police sirens, woman walking in stiletto heals and spandex and an a occasional gunshot were not uncommon either (no exaggeration, it was a rough night). With the epidemic of bed bugs nationwide, good advice to follow is this: Place your luggage in the bathtub while sleeping to avoid bringing home any unwanted guests. • Links/Books/Movies Worth Noting:Many movies come to mind for some comic relief (which will surly come in handy), but Planes, Trains and Automobiles is a good start. Enjoy! 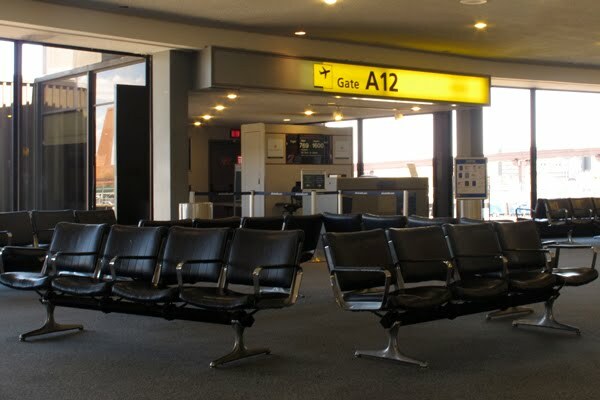 • Photo of the Day:A peaceful sight at Newark’s gate A-12, quite calm… hours after all the people who thought they were boarding a flight here learned their gate had changed to another terminal. Today I received my copy of Stand Like Mountain, Flow Like Water... in Russian. I can recall growing up as a kid learning that people in Russia weren’t allowed to believe in God. Spirituality went underground. The KGB sent many people to Siberian gulags or worse, put them to death. 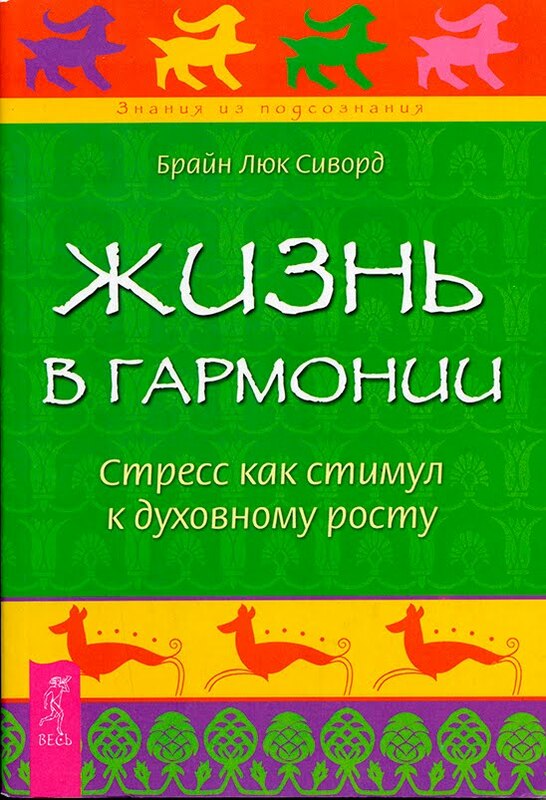 Who would have ever thought a book like mine might be translated in Russian? I never did. 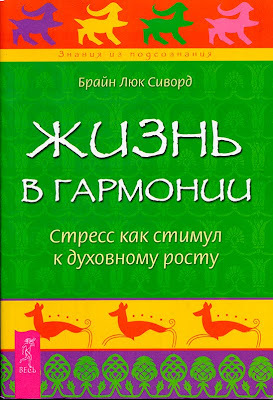 I just had to share the excitement (and if anyone knows what the actual translation of the title is, please let me know.) Thanks! • Many US regions (e.g., Texas, Arizona, California) are draining underground aquifers quicker than they can be naturally restored. • The demand for water increases with population, but the amount of water remains constant. Many fresh water streams contain hormones and antibiotics from prescription drugs flushed down toilets and agricultural run-off (petrochemical fertilizers, etc.) which is then consumed by the local citizens unknowingly. • Americans use approximately 100 gallons of water at home each day (compared to 5 gallons/day in developing nations). • It takes 2,500 gallons of water to make 1 pound of hamburger and 1,800 gallons to grow enough cotton for a pair of blue jeans. • 1500 is the number of plastic water bottles consumed in 1 second in the US! Americans spent more money in 2010 on bottled water than on Ipods or movie tickets: $15 Billion. • Clean water is a huge issue in China, so much so they tried (and failed) to license and export fresh water from the Great Lake Region in US and Canada. The Three-River Gorges reservoir in central China will tilt the earth’s axis by nearly an inch. We, in America, have it pretty good for the most part, when compared to other parts of the world. Over half the world’s population does not have direct access to clean water (they have to walk miles to get it). Perhaps one of the first things you can do is stop buying water in plastic bottles, especially water transported from around the world, like Fiji. Please consider using a stainless steel water bottle to transport with you. The first step to simply to be more conscious about how you use this valuable and essential natural resource. 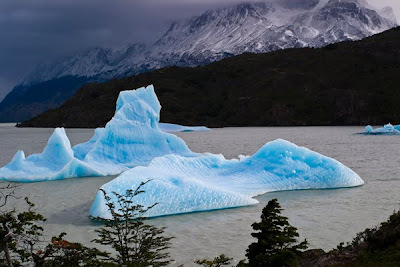 Today’s photo was taken in the Patagonia region of Chile where glaciers are melting rapidly. The Chilean Andes are said to hold vast amounts of fresh water, locked up in glaciers. 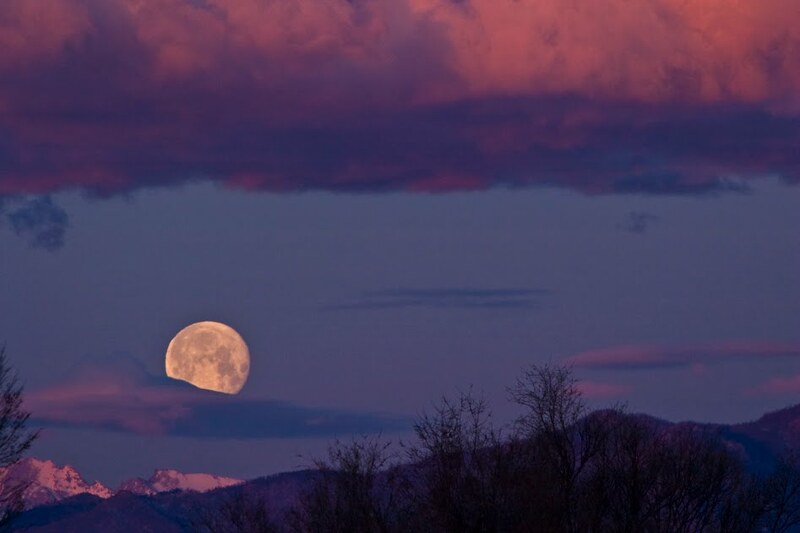 The hardest thing the ego must learn to do is to “let go,” specifically to let go of control. The ego often lives by the motto, “If some is good, more has got to be better.” Control comes in the way of emotional attachment, and its grip is very strong. We hang on to thoughts and feelings about ourselves, others, or a host of situations, well beyond the need to hang on. Ironically, in the process of emotional attachment, we give our power away. To paraphrase an old adage, “It takes strength to hang on, but it takes greater strength to let go.” There are many words and expressions to let go of emotional attachment: Cleanse, release, detach, move on, grieve, and perhaps the most important, forgiveness. The rules of letting go begin with examining your conscience to see what unresolved feelings of anger and fear still persist. Once recognized, let them go, and this may take several efforts. Like a little kid running down the street after a runaway nickel, the ego will release and then change its mind, grabbing for anything to hold on to. Detachment is a skill. With practice will serve you in stressful times. There are many ways to domesticate the ego. Detachment is one of the most important rules in this process. Comb through you mind to reflect on any issues, concerns, problems or situations where your ego has a hard time letting go. Remember, releasing/ cleansing isn’t a sign of resignation or apathy. It is a step toward liberation. In combing through my mind for visual ideas for this blog entry, it didn’t take long to realize that this photo won hands down. It’s quite common to see hot air balloons in the morning skies here in Colorado. 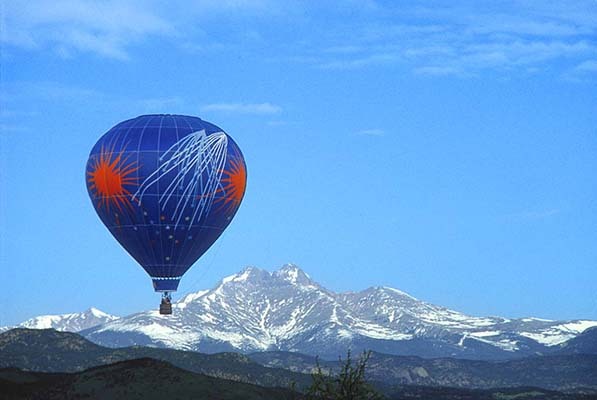 And, as we all know, a balloon cannot leave the ground without detachment. There is a high correlation between simplicity and happiness. The more things that clutter your mind, the greater the chance of feeling overwhelmed. The more responsibilities and possessions you carry, the greater the likelihood to obsess and fret about them. Balance is the key. Experts in the new field of positive psychology are beginning to examine exactly what makes a person happy. While there are many factors, simplicity in one’s life plays a large role in being happy. As a consumeristic 24/7, on demand society with a great standard of living (the envy of the rest of the world), by and large Americans don’t appear to be very happy. Perhaps that is because happiness isn’t a destination or final goal, it’s an attitude; a perception, that you carry in your heart. If there is a saboteur of happiness, most likely it’s the ego. Feelings of inadequacy, desires for more things, and comparisons to others can derail any attempts for locking in the perception of happiness. One key to happiness (and there are many) is to domesticate the ego. 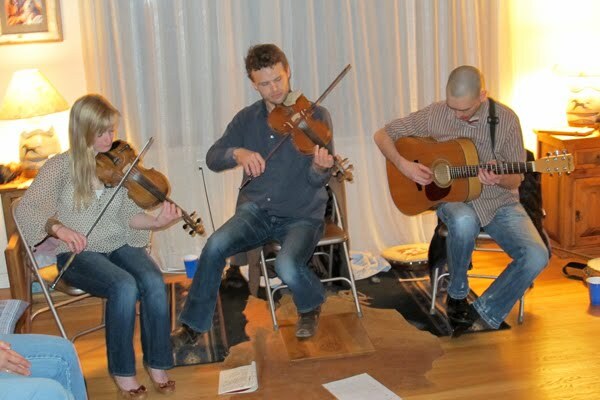 One catalyst for people to experience happiness is to listen to enjoyable music. Musical tastes vary considerably from person to person, but as a corollary to the stress tip of the day, please consider compiling a new list of your favorite songs that will put a smile of on your face. Also … tonight (April 7th), Eric Whitacre’s virtual chorus 2.0 will be available on Youtube (no link as of yet). Check it out. “Ultimately, happiness is your capacity to feel and express love and compassion.” —The Dalai Lama. 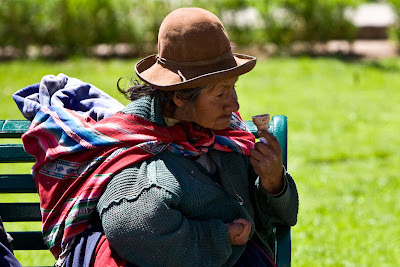 I met this woman in Cusco, Peru on a sunny, hot afternoon. From what I could tell, she has had a hard life, but she never let on. Here she sits enjoying an ice cream cone, reminding me that happiness is found in the simplest of things. explore the relationship of energy, entrainment, emotions, thought and the human condition, we are beginning to see that the vitality of human life includes a healthy connection to others. We can contribute to this vitality by forming communities of friends who, through their inspiration and compassion, add to this vitality. In many ways the world has become quite fragmented, but this is only a perception. In other ways, the world has never been more connected, primarily through technology (e.g., Skype, Facebook, Twitter, etc.) But support groups don’t just happen. There is always a catalyst that brings like-minded people together, whatever the means. Recognizing this catalyst is extremely important, either in knowing how to access it, or perhaps being the catalyst yourself. The wisdom keepers remind us that life is not about the accumulation of money or power, but the expression of love to our fellow human, particularly in times of stress. This, after all, is what quality friendships are all about. tea party. Plan a weekend BBQ. Bake a lasagna for a neighbor in need or crisis. By giving support to others we learn that we benefit greatly ourselves in ways untold. Over the weekend, I received a few video links that were just too special not to share. These first two links speak to the nature of connection, support groups and the need/desire for real social interaction. I think you will really enjoy them. I did. The third link contains more information about David Spiegel’s landmark study. the catalyst for the evening, perform an encore to an incredible and most memorable event. In the words of Adam, “to come together and have joyful music and community was tonic for the soul in these turbulent times.” My deepest gratitude to everyone!